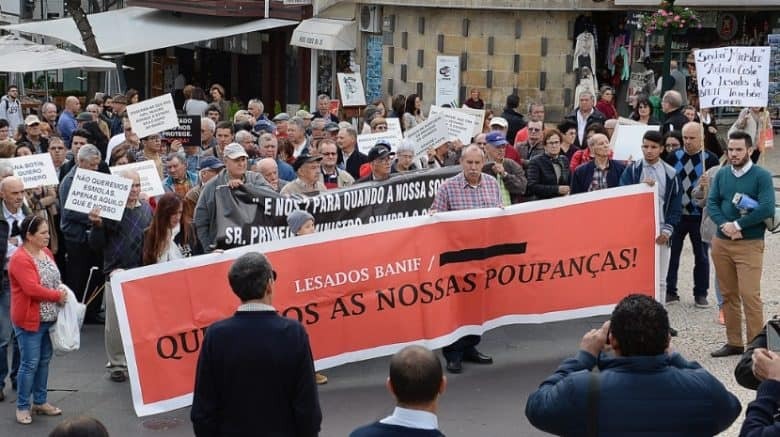 The Banif Injury Association (ALBOA) is preparing another demonstration in Madeira. On October 18, ALBOA will take advantage of the arrival of the President of the Republic to Madeira to draw attention to the situation of the injured. The exterior of the Madeira Congress Center, next to the Madeira Casino and Quinta Vigia, is the place chosen by ALBOA for this concentration that should happen around 13 o’clock. It should be noted that on this day the 46th General Assembly of the Conference of Peripheral and Maritime Regions will be taking place, which will be attended by the President of the Republic and the Regional Governments of Madeira and the Azores. Through a poster that is being publicized, ALBOA calls for participation in this event. “Do not stay at home, fight for what belongs to you! Bring your friends and family,” reads the poster, where the injured again demand their money and their savings. ALBOA’s lawyer will also be present at the site, to ask questions to all interested parties.